In healthcare, radiology environment is considered one of the highest technology content field. The professionals who works in this area have always been accustomed to work with complex instruments. In e-health approach, patient's informations must be available to any authorized specialist, everywhere, with every device. 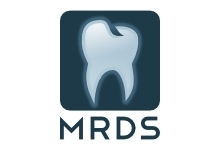 MRDS is a web-based information delivery system, born to simplify the work of the radiologist, ensuring that the informations he has obtained can reach the right specialist immediately. The integration of MRDS with the clinic's RIS-PACS will allow to collect all the informations you want to make available to the outside world, increasing cooperation and synergy among multiple specialist centers.